Sure, Zs and 510s are great, and all, but they’re a bit, how do you say, common. 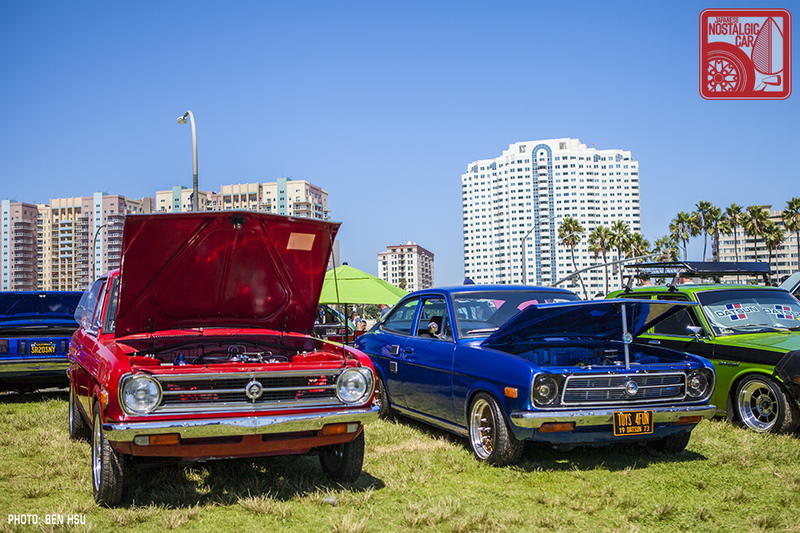 When it comes to Nissans, these two model lines often make up the vast majority of the field. This year, however, the humble Sunny made one of its strongest showings in JCCS history. Here are some of the rarest Nissan models to ever appear at the show. The first generation B10 Sunnys are already rare to begin with, but examples of Sunny Vans like Sergio Arenas’ 1969 VB10 are near unobtainium. Lowered on Cross Fevers and sporting a slim air dam, it looks as if it came straight out of a countryside meet in Japan. But Sergio didn’t have just one rare B10 variant. Paired with his Sunny Van was an ultra-rare 1969 Sunny Truck. The B20 is just about nonexistent, even in Japan, and to see one lowered on some vintage Advan Mesh wheels was an absolute treat. Note that both cars are LHD, so they were even rarer models built for export. Of all the Sunny generations, the B110 is perhaps the most popular, but even that is relative. In addition to the beautiful Wild Cards B110 Sunny, Salvador Silva’s red A14-powered 1971 and Rosy Resendiz’s blue 1972 with its stock A12 were the only representatives of the generation. 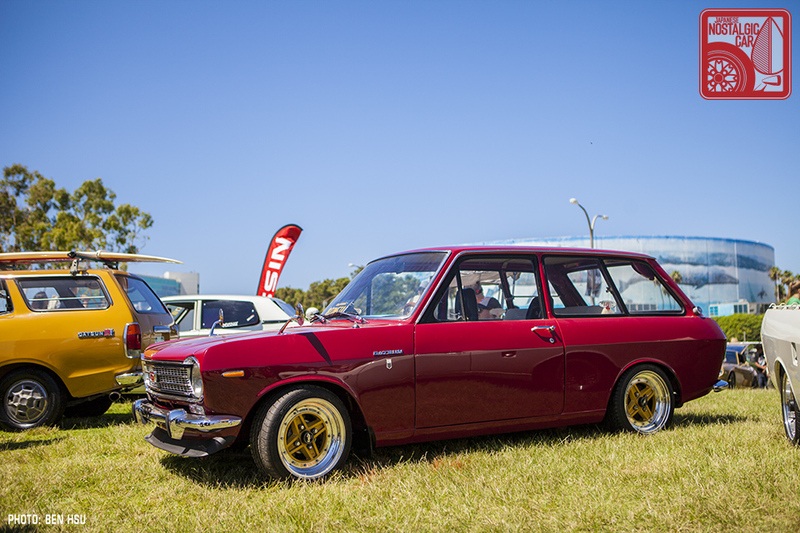 Compare that with the many rows of 510s that populated the show, and you’ll start asking yourself where did the all the once commonplace Datsun 1200s go? The third generation Sunny, sold here as simply its chassis code, the Datsun B210, was also once ubiquitous on post-oil crisis American roads. 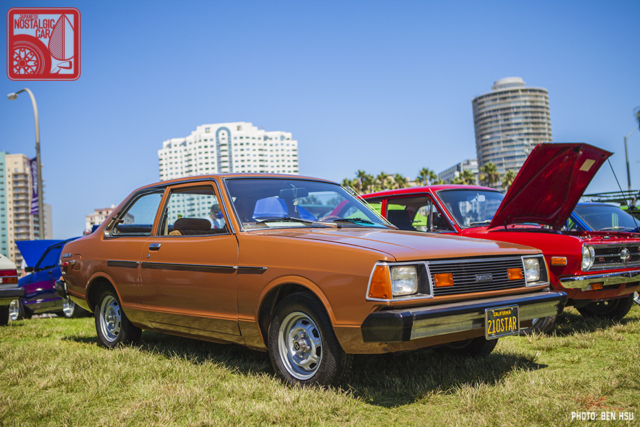 AJ Adler’s 1978 B210 GX was a prime example of the breed, complete with lavish original options such as an AM/FM stereo, tachometer, clock, and honeycomb hubcaps. 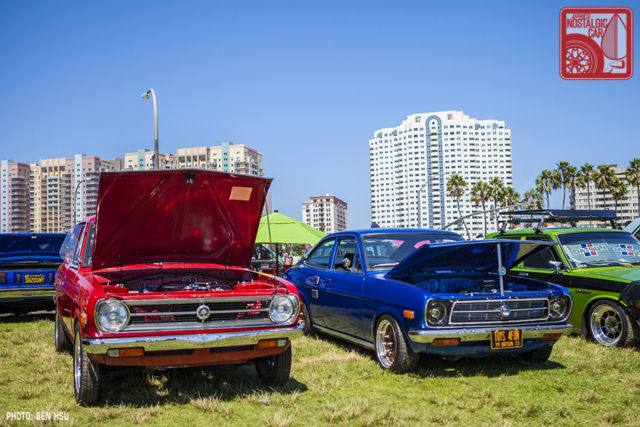 In fact the Datsun B210 was so popular that Nissan continued to call its successor the Datsun 210, even though it was technically a B310. Kimberly Hall’s 1981 2-door was rescued from a junkyard 29 years ago and painstakingly restored. Even minor details were not overlooked. For example, when we first saw the car in 2015, it wore an aftermarket antenna on the right fender, which had had a hole cut in it to accommodate the unit. Kimberly obtained a NOS fender to replace it, and returned the antenna to its proper location on the left B-pillar. 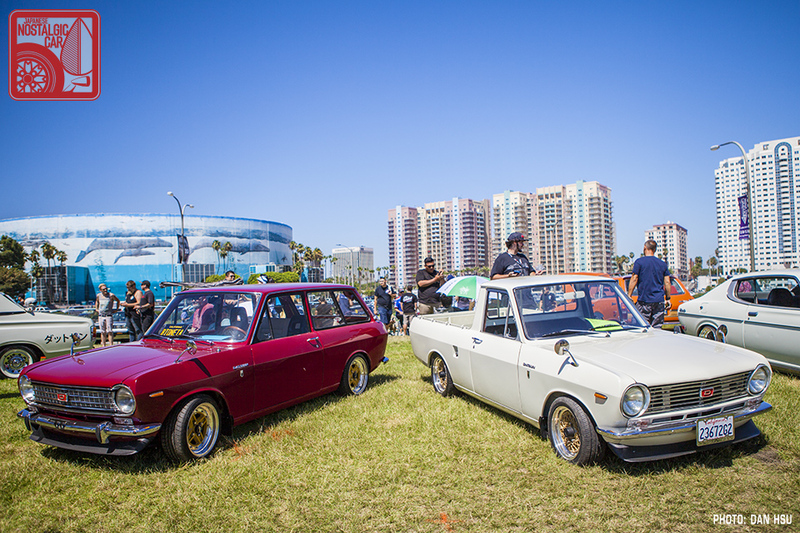 For her efforts, Kimberly took home second place in the Best 60s & 70s Datsun class. 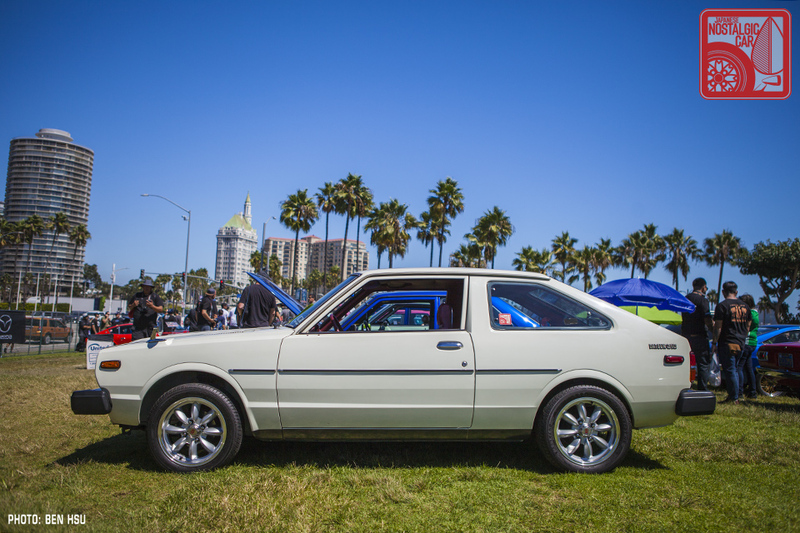 In turn, the so-called Datsun 310 was actually a N10 Nissan Pulsar. Still powered by an A-series engine, it was, however, front-wheel-drive. 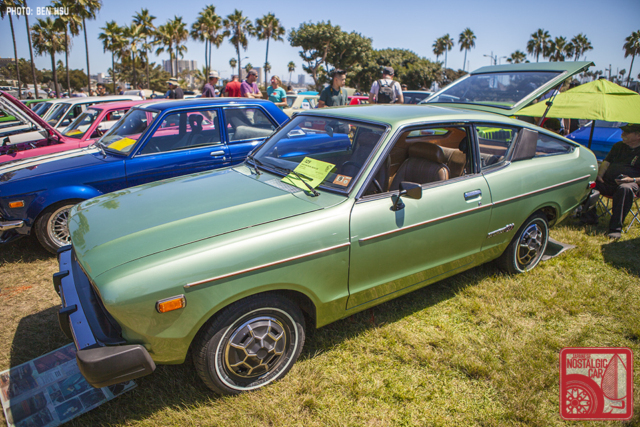 Ericson Salmo’s 1979 hatchback was an amazing survivor, registering just 7,500 miles on the clock. Rarer still was Silvester Stoianovici’s Datsun B210 Van. If memory serves us, this was is the first time one has been on the lawn at any JCCS. The 3-door longroof variant was not sold in the US; Silvester purchased it from the original owner in Costa Rica and imported it to the US in April of this year. 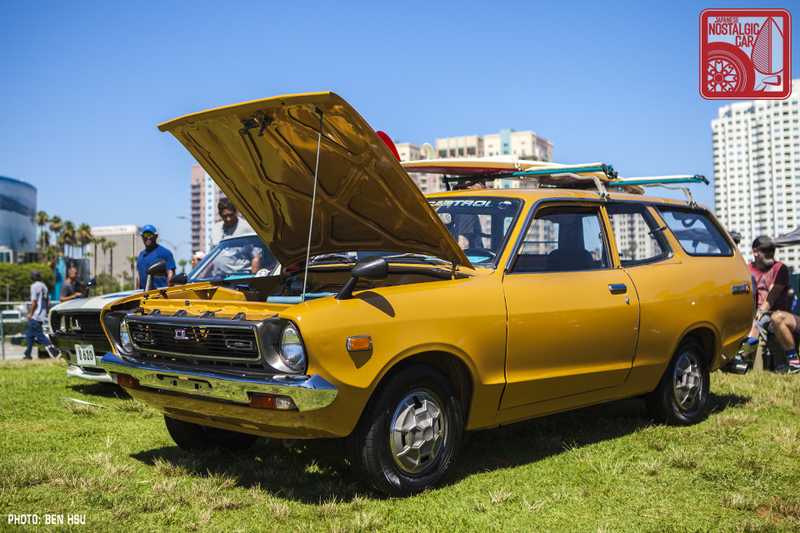 Due to its extreme rarity, it was awarded first place in the Best 60s & 70s Datsun category. 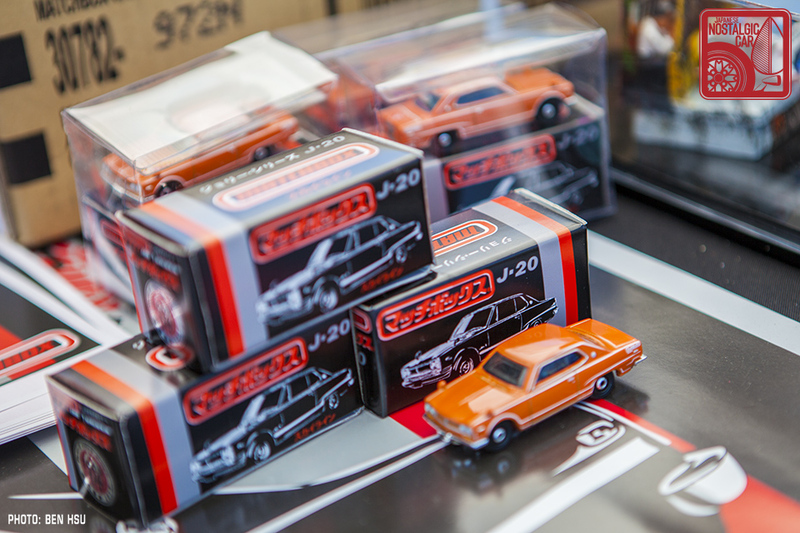 And finally, because we couldn’t find another section that would be appropriate for this, Matchbox was giving away special edition Nissan Skyline models with exclusive graphics and packaging. Did you get one? We’ll have more 2018 JCCS coverage coming up, but in the meantime, in case you missed it, check out Part 01 — JDM, Part 02 — Toyotas, Part 03 — Hondas, Part 04 — Subaru and Isuzu, Part 05 — Trucks, Part 06 — Mazdas, and Part 07 — Nissan Bluebirds, as well as a spotlight on the Wild Cards and the first Honda race car in America. tagged: b10, b110, B20, b210, b310, datsun, jccs, nissan, sunny. Oh that wagon!!! I wonder how it looked like when he got it. He did a nice job. I have in my Tomica collection 2 vintage diecast Nissan Sunny models. The first one I got is the PB210-series Nissan Sunny Excellent 1400GX and the other, with a slightly busted windscreen is a Nissan Sunny 1200GX, the coupe model only available from late 1971 until mid to late 1972. Both sport their original rubber tyres from the 1970s and I LOVE them. Fun fact: On the base of the 1400 GX model Tomica, the casting name is “Sunny Excellent 1400 GX” with the words ‘Nissan’ or ‘Datsun’ omitted. On the back of the North American-market Pocket Cars packages from the era, a list of other available Pocket cars refers to a car as ‘Datsun B210’ which is the export name for the Sunny. Presumably this had to do with the Nissan-Datsun brand usage in Japan and overseas. That little white 310GX was the first car I bought (gold). 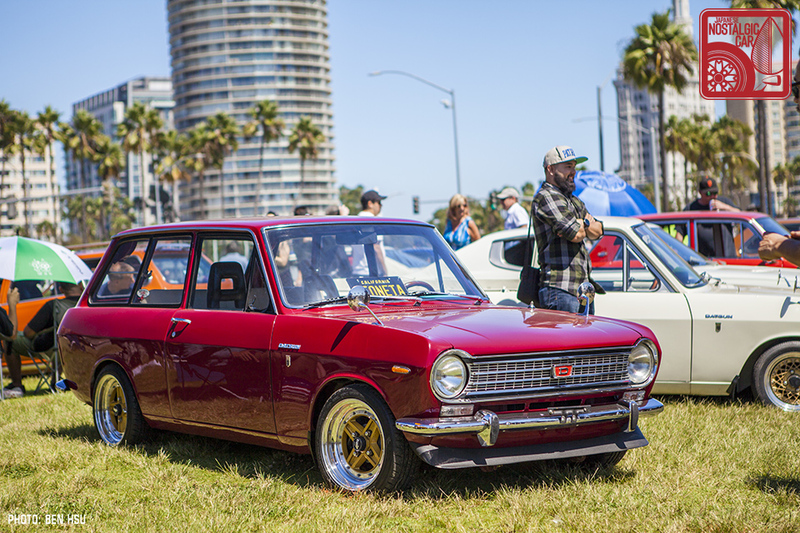 Son of F10 and not the greatest but it helped me fall in love with Datsun’s. Thank you for spotlighting my 210 (Stanley). Beautiful pictures as always. And thanks for showing the car that took 1st in our class. They nearly forgot to call the awards for us so I never caught who took it.